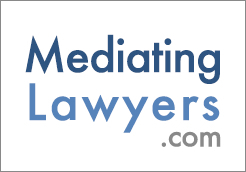 Many mediators will encounter mediations where the parties do not speak English fluently. Sometimes a mediator may speak the parties’ language and may continue the mediation without the need for interpretation. Other times, the mediator can barely communicate with a party and has no interpreter. In either situation, the mediator may have to decide whether the mediation is even appropriate or whether an interpreter is necessary to continue the mediation. The following are some questions third party neutrals should ask themselves where an interpreter might be needed. Determine whether in fact an interpreter is needed. It would seem that the easiest way to find out if the parties need an interpreter is to ask them directly. However, this approach is not recommended because it may alienate the person. Some people with foreign accents are offended by questions such as “Do you speak English?” Or “Do you need an interpreter?” Ascertain, preferably by observation or casual conversation, the parties’ comfort with English, their native language, their nationality and the need for interpreters. Some factors to take into account are the length of their presence in this country and their level of education. Keep in mind that a request for an interpreter may be a strategy and not a need. It comes as no surprise to the experienced interpreter how often a party “needing” an interpreter actually speaks or understands English well enough to communicate. If you suspect this is the case, explore what other interests or needs are involved. The request for an interpreter may be part of a game or strategy, a form of passive resistance or a need for “moral support”, among other things. Some parties will want to bring a friend to interpret for them in mediation. This is often not a good practice even if the other party does not object. This interpreter will most likely be partial towards one side and may not be trained in the language of law and mediation. Avoid using a specific party’s personal mediator. If the party insists on having his/her own interpreter, explore whether the other party objects and whether the interpreter is qualified to interpret faithfully. What are the interpreter’s qualifications? Ask the interpreter about qualifications, experience, certifications, knowledge of legal terms or specialized language and membership in organizations such as the National Association of Judicial Interpreters and Translators (NAJIT), The Translators and Interpreters Guild (TTIG), the American Translators’ Association or other organizations with a code of ethics and/or professional conduct. If possible, personally test the interpreter’s ability to do simultaneous (and/or consecutive) interpretation prior to the mediation. (See http://www.najit.org/ ; http://www.atanet.org/ or http://www.ttig.org/). Choose your interpreter wisely. Ask around for recommendations. The fact that a person has a foreign last name does not mean he or she speaks the language. Furthermore, the fact that a person is fluent in two languages does not mean that he/she is a good interpreter. For an untrained person, it is a challenge to simultaneously repeat word for word what is being said in a conversation, without involving a second language. Once a second language is added, the difficulty is compounded. It is in fact a neurologically acrobatic feat to render an interpretation in real time while self-monitoring to ensure fidelity to the original message. An untrained and inexperienced interpreter could inadvertently alter the meaning, thus making resolution and communication more elusive. Don’t forget the ethical issues. Confidentiality, conflict of interests and neutrality are important issues to keep in mind not only for the mediator but for the interpreter as well. Make sure he or she does not have any conflict of interests or other ethical conflicts. Make sure the interpreter has read and abides by a code of ethics or professional conduct. A lack of awareness of ethical considerations can, and frequently does, result in mistakes that might otherwise have been avoided. Decide whether you want simultaneous or consecutive interpretation. Ascertain the parties’ preference. Some benefits of simultaneous interpretation are its faster speed and dynamic impact. The benefits of consecutive interpretation are accuracy and the opportunity for the mediator and parties to ascertain that accuracy and its impact on others. If you choose simultaneous interpretation, remember that the interpreter can only interpret one message at a time. Wait till the interpreter has finished interpreting before responding. Remind the parties to do the same. Decide and tell the interpreter whether you prefer verbatim or diplomatic interpretation. For example, if one party calls the other a liar or some other negative term, should the interpreter specifically interpret the word “liar” or should he or she say “what you said is incorrect or not true”? Some mediators prefer that the mediation be word for word. Others feel that, in order to keep the mediation atmosphere more positive, inflammatory words should not be interpreted verbatim. This decision greatly depends on the mediator’s comfort with the parties’ expression of emotion. Regardless of your preference for verbatim or diplomatic interpretation, listen to both the original statement and its interpretation, even if you do not understand the language. Do you suspect that more - or less - than appropriate is being interpreted? For example, the party may have a long response and the interpreter uses just one word or a brief sentence. This often means that the interpreter chose to summarize a repetitive statement but it could also mean that the interpreter did not understand all that was said. Keep in mind that it takes about 30% more language to express something in Spanish than in English, however, you can generally tell if an interpreter is interpreting or merely summarizing. If you’re not sure, consider asking the interpreter about the difference between the original statement and its interpretation. Also weigh the advantages or disadvantages of inquiring during a break as opposed to during the mediation session. Watch their body language. Does someone look confused, frustrated or angry? These are sometimes clues that the interpretation is either inaccurate or not being understood. Are they nodding or shaking their head? Does the body language match the interpretation? (Caveat: nodding and head shaking does not mean the same in all cultures). To insure good communication, also avoid using slang that makes no sense if interpreted word for word, such as: kick the bucket, rule of thumb and pulling your leg, to name a few. What is the interpreter’s role? Remind the interpreter not to answer questions or give advice. The interpreter should only interpret the questions posed, then should let the mediator or other parties answer, and then translate the response. This is one more reason why it is not a good idea to have a party’s friend acting as an interpreter. Many mediators or attorneys talk to the interpreter and make statements such as “Tell him/her….” It is more effective for the mediator to address the party not the interpreter. Always remember that you are trying to communicate with the party, not the interpreter. Therefore, as mediator you should address the party and maintain eye contact with that party as you speak, not with the interpreter. It is possible for a mediator to establish rapport with a party without the spoken word through body language. Such rapport will seldom be established without, at least, some eye contact. Is the interpreter fully equipped? Ascertain whether the interpreter has equipment for interpretation. Having the proper equipment makes the interpretation and the mediation flow much more smoothly. Equipment will include a microphone and headphones so that the interpreter can interpret quietly and simultaneously without disrupting others. Is the interpreter familiar with mediation? Consider getting an interpreter who is familiar with mediation or who is also a mediator. If the interpreter is also a mediator, he/she would know reframing, paraphrasing, and other mediating and communicating skills. This would make the interpretation and the mediation much more effective. Am I the right mediator? Consider transferring the case or getting a co-mediator. There might be times when, regardless of your best efforts, you may still not be the right mediator for a case. There are also differences in culture, worldview, regional nuances of each language and idiomatic expressions that may be hard for the inexperienced to understand. Getting a mediator who speaks the language may be the best solution. This is especially true when all parties involved speak the same language and you are the only one who does not. A mediator since 1993, Judge Josefina Rendon has mediated over 1,300 disputes in a variety of areas including family, employment, personal injury and many other areas of law. For almost 4 years, she taught negotiation and mediated for the U.S. Air Force, Army, and Navy. She has been a Municipal Court Judge for 29 of the last 33 years. She is also a former Civil District Judge. Rendón is a published author of over 100 articles and book reviews as well as a frequent speaker (locally and internationally) in the areas of dispute resolution, negotiation, cultural diversity and law. She was editor of The Texas Mediator and an editorial board member of both the Texas Bar Journal and The Houston Lawyer. Judge Rendón is past president of the Association for Conflict Resolution–Houston (ACRH) and of the Texas Association of Mediators (TAM). She served on the board of the Dispute Resolution Center of Harris County for many years. She also served on the board of the Texas Center for The Judiciary as well as on the councils of the Alternative Dispute Resolution sections of both the State Bar of Texas and the Houston Bar Association. Edward Bujosa grew up in Houston the only American-born child of a Cuban family of six. He has been interpreting professionally since 1997.